Garfield NJ is a city in Bergen County New Jersey. Commuters find the city of Garfield an easy place to call home. With train, bus and car service available as transportation options, Garfield is perfect for New York commuters. In addition, the location is ideal for both business and travel. New York City is just 12 miles to the east and Newark Airport is just 15 miles to the south. Residents of Garfield keep their homes healthy by utilizing the Bergen County mold testing services provided by Certified Mold Testing NJ – NY. Garfield’s location is at the junction of the Passaic and Saddle Rivers. Like most of the area it was originally home to the Leni Lenape Tribe of the Algonquin Indians. This area was ideal for industry at the time, a place where the Lenape produced wampum and other items that they traded with the early Europeans who arrived here. Industry continued even after the Lenape left in the form of woolen mills. Today Garfield is ethnically and culturally diverse, home to a number of different immigrant groups. Here you will find people from Russia, Italy, India, Pakistan, Yugoslavia, Albania, Spain, Portugal and South America. Likewise, there are communities set around immigrant groups, such as Little Italy and Little Warsaw. Many of the homes in Garfield are two family homes on small lots. Mold testing for Garfield NJ homes brings peace-of-mind that mold is either not present or it can be eliminated if found. Recreation holds a priority in Garfield. The city’s largest park is 20th Century Field. This is a 15 acre park comprised of playing fields, a football stadium, two tennis courts and a walking trail. High school students in Garfield have access to a variety of sports as well, including track, tennis, golf, basketball and baseball. The variety of activities and ability to enjoy great NJ parks and playgrounds is certainly a draw for families who call Garfield home. Homes in Garfield NJ can be inspected for mold by Certified Mold Testing NJ – NY LLC. 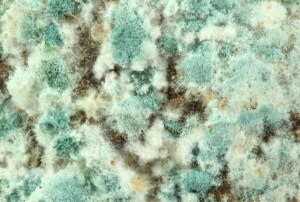 Mold detection is an important first step in eliminating mold from a home. Left undetected mold can easily cause issues with the structure of a home as well as the health of its residents. Bergen County mold testing services provided by Certified Mold Testing can deliver peace of mind to families living in Garfield New Jersey and neighboring communities.